Integrated in the year 2013 at movie (Gujarat, India )Cleia Tiles is a leading manufacturer & exporter from the arena of Indian ceramic industry-Morvi.We are the hard-core professionals keeping an extensive view to rock the market worldwide. Since years of evolution at the native of clay-art: Morbi, made us an unbeatable brand as “Cleia Tiles”. We envisioned the link, missing between customer dreams & realization.We are successfully meeting the requirements of our clients by manufacturing, trading, importing, exporting and supplying the best quality range of Ceramic Wall Tiles. Pcs. /box : 11 Pcs/box. Total Box/Container : 2000 Box. Pcs. /box : 6 Pcs/box. Total Box/Container : 1700 Box. "Cleia is an elegance of art, creating the new senses of decorative ideas." Cleia Tiles have hard-core professionals in manufacturing premium cera-products & exporting worldwide. Cleia Tiles is the dominant brand in the field of ceramic industry. We have the one-full stop solution to fulfill all your ceramic needs. We are our own competitor and we have consistently raised our level of performance to new heights of quality and success standards. 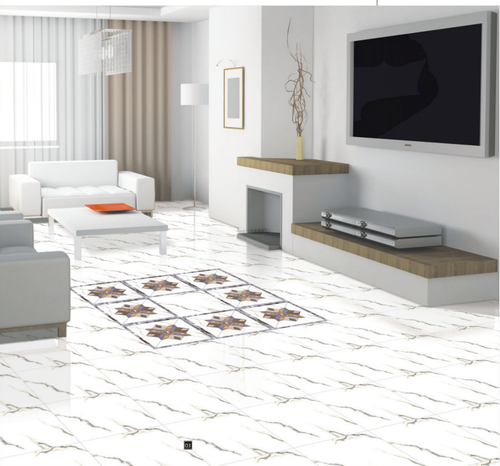 Our rate of success in this arena is amply highlighted by our huge range of tiles Floor tiles- Wall tiles, Ceramic tiles, Rustic tiles, Vitrified tiles, GVT, Recently, we launched have launched a new genre: Digital tiles. CLEIA TILES is undoubtedly the trend setter in market, having introduced many new and unique ranges of tiles.